This is the story of Henbit and her two sisters, Sweetflag and Cloudberry. They are frendibles, creatures the size of a baking potato with a large head, big eyes and short arms and legs. They live in underground burrows and eat vegetables, plants and fish. They are watched over by an eagle named Tegera who protects them from danger. 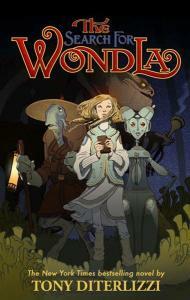 One day, the accident-prone Cloudberry goes missing and her sisters set out in a journey to find her. They will face all kinds of threats, including horrible crows, rabid animals and scary humans. But will they be able to find their sister? 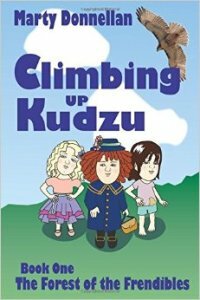 Climbing Up Kudzu, also called Henbit and Her Sisters, is book one of the Forest of the Frendibles series. 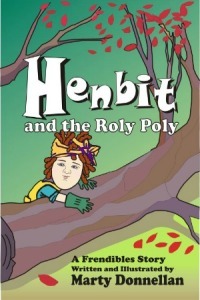 Several years ago, Marty Donnellan created a doll that she named Henbit, and it inspired her to write the story. 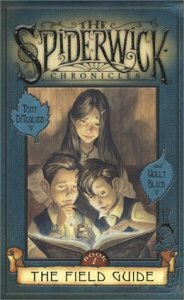 The book is engaging and fast-paced, and the reader cannot help but root for the success of the sisters’ quest. The author uses fun words like scuppernong, mullein, whippoorwills and scalawag that add to the uniqueness of the story. Furthermore, aspects of the frendibles are delightful. For example, the creatures’ children have blue hair, and the elderly have pink hair. However, I thought that the book cover could use a better design in order to be more appealing. In addition, the way the frendibles came to be was a bit unbelievable and really stretched the imagination. 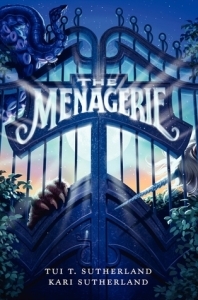 I must say though that this story is going to be quite an enjoyable read for children aged 9 to 12. Climbing Up Kudzu was sent to me for free in exchange for an honest review. Marty Donnellan is also an illustrator, a doll maker and a skating teacher. She is the founder/director of a food charity called Joy Community Kitchen. The setting for the story is based on the countryside near Atlanta, GA. The characters were originally called feggs, but the author changed their names to frendibles. About the author and her work: Marty Donnellan’s Website.